Global co-working company WeWork took another step into the Australian market by moving into Melbourne's historic Collins Street building. Upon its arrival to Melbourne, WeWork confirmed it would take up almost an entire building on Collins Street owned by the Liberman-family backed Impact Investment. "Melbourne is home to startups, big businesses, and creative entrepreneurs pioneering innovation across industries old and new," WeWork Managing Director for Asia Pacific Ole Ruch told The Australian Financial Review. "The city is a natural next step for WeWork and our growing Australian community, and we've seen great interest in a Melbourne location from both our existing Sydney community and Melbourne-based businesses alike. WeWork is expected to move into their new space at 401 Collins Street after major refurbishment occur to its facade, lifts and plant, and then take up about 6,000 square metres of space according to their lease. According to the AFR, the property was bought by Impact Investment Group in 2014 for $32 million through a sale and leaseback to its tenant Roy Morgan Research. WeWork is expected to move in before the end of the year. The company's tenancy in Melbourne adds to their 120-plus coworking spaces already firmly established around the world, which includes their first Australian location in Sydney. Impact Investment Group CEO Chris Lock told the AFR he was looking forward to starting the next chapter in "this remarkable building's life". "When we buy older properties like this one, we look for ways to adapt them for modern use, whether it's making them more energy-efficient, or fitting them out to support the kinds of jobs that will exist in the new economy," he said. "401 Collins has great potential to be redesigned for innovative commercial space. It is a landmark in the heart of Melbourne's banking and financial services district, where we can see demand for high-quality working spaces." As WeWork comes to Melbourne, their value is being closely watched with suspicions it will experience a massive spike as Japanese investment firm SoftBank is reportedly closing in on a nearly $4 billion investment in the company. The investment would come as a primary $2 billion round, followed by a subsequent round of up to $2 billion, and could value WeWork at as much as $20 billion. WeWork will likely be using new funds to continue its international expansion. 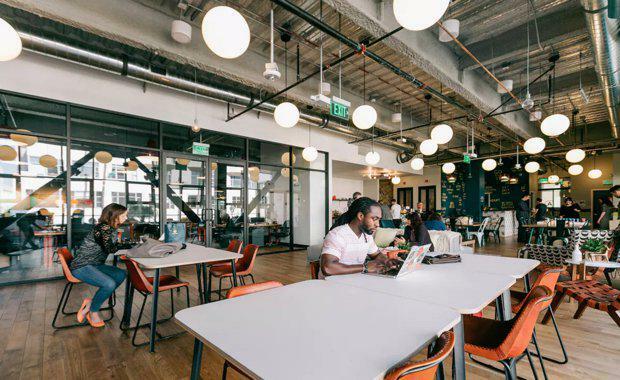 According to CNBC, the company's co-founder and CCO Miguel McKelvey announced last week that it plans to launch in Beijing in May, adding that WeWork would continue to raise capital ahead of an expected public offering.